Living with arthritis or other hand pain is uncomfortable enough, but it’s even more frustrating when the pain limits your ability to participate in the crafts you love. However, suffering from hand pain doesn’t necessarily mean you have to give up your crochet hooks. 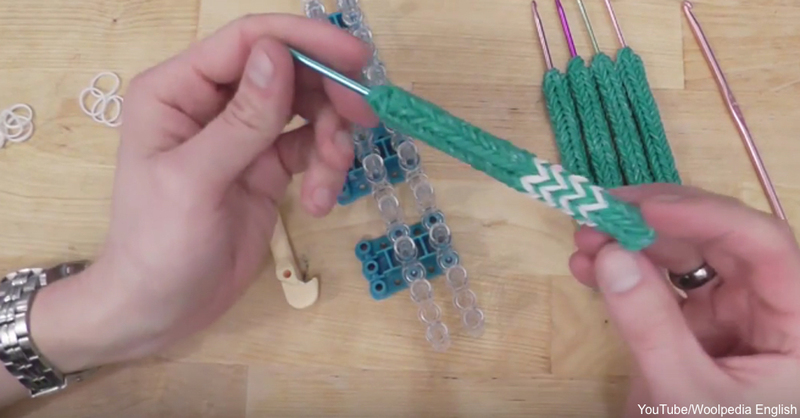 Making some changes in the tools and techniques you use may reduce the stress on your hands and let you get back to your favorite crochet projects. The first adjustment you should make is to warm your hand muscles before crocheting, recommends the Arthritis Foundation. To prepare your hands for crochet, soak them in warm water before you start working. Once your hands are warm, you also can try a few stretches to limber up your fingers and wrists. One simple stretch is called prayer hands. To perform this stretch, bring your hands together in the middle of your chest with your palms and fingers touching and your fingers pointing upward. Hold for a few seconds and then, keeping your hands together, rotate your wrists so your fingers point downward. Do 10 to 12 of these repetitions before you start stitching. When you’re ready to pick up a crochet hook, reduce the stress on your hands by making the hook easier to grip. This can be accomplished by wrapping a rubber band around the handle several times or sliding your hook into a foam sheath. If these adjustments don’t help enough, consider purchasing some ergonomic crochet hooks. Flexible hooks, or those that have flat or square handles, are often easier to grip than traditional round hooks. Although you may love to crochet for hours on end, these marathon sessions can cause pain. Work on your project in several short sessions, taking breaks of up to two hours in between. While you’re crocheting, employ good posture, and support your elbows with pillows. Share your crochet experiences and any tips you have to deal with arthritic hand pain here.